Marek, you say in this podcast “if you’re going to give one group of people a test and the other not, in a fair country you should test everyone” – but isn’t the problem in your case precisely the fact that your university application wasn’t considered on an individual basis? If the university had looked at your CV and said “OK, this guy has a BA and CELTA and Delta etc so his English must be more than proficient to do our course”, then that would have saved a lot of time and trouble. In fact, if universities did this for everyone, then they would probably be able to identify only those who might truly need testing. The solution isn’t giving everyone a blanket test regardless of what their mother tongue is, just because you thought it unfair that you had to do a test; the solution is to make institutions consider applicants on an individual basis. A lot of IELTS material I have come across is produced in Australia. I wonder if IELTS, although it’s administer by Cambridge, might some how be an Australian establishment or it’s administered out of their Australian office? Either way, getting mother tongue speakers to take IETLS tests and getting highly proficient well-qualified non-mother tongue speakers to do these tests is nothing more than a money-making exercise and treats everyone with the same brush with no regard to consideration at an individual level. I agree. Treating people on the individual level would be best. Same in ELT. Let’s stop assuming things about teachers because they happen to speak English as their first or second language. The problem is these test won’t disappear. And unfortunately, at the moment all ‘non-native speakers’ are treated with the same brush: they are assumed to be ‘unproficient’, and have to prove they’re any good. On the other hand, all ‘native speakers’ are treated with the opposite brush: they’re all assumed to be equally and completely ‘proficient’ (however you want to define the term). And as a result, they don’t need to prove anything. I don’t think this is right. No one is born proficient in academic English. Nor in ELT English. Aaaaah ok so now I understand what you’re getting at with “proficiency” – using language for academic purposes, in an educated manner. So, sure, natives aren’t tested for this – all the ELT jobs I’ve done had either required a degree (which in itself is the test of the natives proficiency in academia) or the job is about teaching real English – how it’s used in real life. Natives don’t need a degree to tell someone what’s right and wrong in English – for sure you won’t be able to explain why, but that’s what being a teacher is all about. I think testing natives’ level of English is a waste of time and money (regardless of how much it pains you that you’re treat differently to me in job applications), what would be better is to test their teaching ability and linguistic knowledge. Non natives tend to have a better linguistic knowledge of the language, which feeds into their teaching and often helps them to be great teachers coz they can explain stuff – I think this is what natives and if they were tested on anything, test them on that. “all the ELT jobs I’ve done had either required a degree” – the problem is that as a non-native, even if you’ve done your degree in English (like myself), or in an English speaking country, then you’ll still very likely be requested to provide an extra proof of your proficiency (as happened to me with my PhD – if I had a passport from a ‘native-speaking’ country, this wouldn’t have happened). 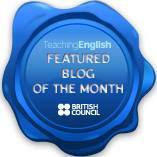 “the job is about teaching real English – how it’s used in real life” – what do you mean by real English? How people use it down the pub in York? Or maybe how Barak Obama uses it? Or perhaps how surfers down the beach in Sydney use it? And why would such English be useful to a student if the vast majority are not learning it to chitchat with ‘native speakers’, but for transactional purposes in international settings. Let me give you another example. To become an IELTS examiner, as a ‘non-native speaker’ you need a university degree and 9 in speaking and writing on IELTS. A 9! Now as a ‘native speaker’, you just need a degree. In anything. I can’t see how this is fair. Again, it assumes that any ‘native speaker’ already is on band 9 in IELTS speaking and writing. I don’t think this is fair. Also, what about all the other ELT jobs that only require you to have a CELTA? As a ‘native speaker’ you’re assumed you’re proficient enough to do the job. As a ‘non-native speaker’ you still have to prove it. (also see my comment at the very bottom about ‘native-like’ level in job ads). I’m not sure if any of the proficiency tests we have at the moment would be appropriate. perhaps we need something more directed towards ELT that would also include some teacher talk, language awareness, etc. So there’s a lot of things here which I had never ever thought about. Very thought-provoking. It’s had me thinking most of the afternoon. The IELTS 9 band requirement is crazy. I suppose their logic is that you have to have the highest score in order to grade it. Of course, the logical step there is to apply this to all potential examiners. IELTS have some odd requirements. I know of two people who hold very high positions in ELT but couldn’t become IETLS examiners. It was very odd, in my opinion, that they couldn’t. However, I do concede most of the learners out there aren’t learning English for this reason. I can imagine an Italian learning English so they can communicate with the other team members in an outsourced firm in Asia. The only question that raises for me is that if we’re not teaching them native English to communicative with natives, as they’ll not be communicating with natives, then why are we teaching them at all? I’ve seen it with my own eyes during Erasmus: you put 6 nationalities of varying levels into the same room and they can all communicate in broken English – no problem. If they finish school with a level that gets them by, why are we teaching them at all? (take out of that equation the students who need English for studying in an English speaking country, coz that’s a specific group). Like, you’ve really got me thinking now. Why do I correct the Polish students’ English in Poznan when I know the only person they’re going to speak to is the German side of the team whose English is actually worse than my students’…. Anyway, to come back to your comment, I’ve practically never had sts who had to learn how to speak like a ‘native speaker’ down the pub in York. I’ve had many who were either planning to go to study in an English-speaking country, or were already studying there. However, I don’t think they necessarily need what you referred to before as ‘real’ English. What they need is a) academic English to succeed in uni b) general English to be communicative. No need to try and imitate a ‘native speaker’ there, unless the student really wants to blend in. This opens a huge midfield of self-identity. I could easily pretend I’m from Costa Rica when I speak Spanish. But do I really want to? What’s the point? I’m Polish. I’ll get found out anyway. And I can’t see any reason why I’d want to hide my identity. But that’s a personal thing perhaps. Another thing is that we need to change our mindset about intelligibility. It’s always been assumed that if a ‘non-native speaker’ is talking to a ‘native speaker’, and the latter can’t understand the former, than it’s obviously the fault of the ‘non-native’. They’re just not proficient enough. They have a weird accent. They make too many grammar mistakes. They don’t know their collocations, etc. Likewise, if the ‘non-native speaker’ can’t understand what that English lad in the pub is saying, we’d assume in ELT that again it’s the fault of the ‘non-native speaker’. They just don’t have the right listening skills. Why, though? If English is used as a lingua franca, then all interlocutors have to adjust, adapt and be flexible, and make an effort to understand and be understood. What I’m trying to say is that we can’t continue a priori seeing all ‘native speakers’ as the ultimate standard, the ultimate judge of correctness and appropriateness, the ultimate goal for any sane language learner. When it comes to your question about why we’re even teaching them then, I think because most still can’t get by in international communication. Or they want to get better at it. Not better at talking to your man down the pub, but better at whatever communicative purpose they’re planning to put their English to. So teaching sts ‘real’ English would in my opinion mean teaching them the English they need to be better at what they want to do with it. It might mean teaching them Standard English and obscure super advanced phrases for CPE. It might mean teaching them how to deal with Japanese businessmen. It might mean passing a food chemistry course in English. It might mean understanding your man down the pub. But we shouldn’t assume that the latter is always the ‘real’ English. It isn’t. English has changed. Also, you say that the average score for native speakers who have done IELTS is 6.5 – doesn’t that just show the test is much more about how to do the test and less about actual language knowledge? Because native speakers are native speakers, no matter what a test might say. I just didn’t get the last part of it. what do you mean when you say that native speakers are native speakers, no matter what a test might say? I was wondering what you meant by that. The author claimed that some native speakers got 6.5 on IELTS. I think he is saying this to try to make it seem as though some native speakers don’t speak the language so well. But that is a non-sequitur, as native speakers are the people who know the language “natively”, regardless of what score they get in a test. So if they score badly in an exam, that raises really questions about the effectiveness of the exam 🙂 Do you get it now? I would disagree here. If we assume the exam is not valid or effective, then your argument would also apply to ‘non-native speakers’ who score 6.5 on IELTS. In other words, it’s not that their level of English is low, but it’s because the test isn’t valid. What I’m saying is that your argument is logically valid, but not sound, because it seems to me it’s based on a false premise: all ‘native speakers’ know/use the language at a ‘native level’, i.e. complete proficiency. I know IELTS and you’ve got to know how to do the exam to be able to do it. I’m sure you know that as well. So the non-native who has been prepared for the exam will probably do better than the unprepared native. Also, half the crap they but in these exams is a test of language knowledge and not how language is actually used, which is what trips up native speakers. I agree. There’s a case for improving the tests that we’ve got. They should also definitely take into account the fact that English is now used as a lingua franca. There’s not much that’s international about TOEFL/IELTS/TOEIC/CPE apart from the name. And yes, tests test Standard English (SE). So I agree with you that there’s nothing surprising about the fact that a highly proficient ‘non-native speaker’ will outperform a ‘native speaker’. The ‘non-native speaker’ has been trained to know and use SE, and this is what the test requires of them. So yes, the tests don’t test “how language is actually used”. But how ‘native speakers’ in the Inner Circle use it isn’t how English is used either. Nor is it how they use it down the pub in Liverpool. Or at a baseball game in NY. Most people use English internationally, and speaking like a ‘native speaker’ (whether with SE or non-SE) doesn’t automatically mean proficiency in a multilingual and multicultural setting. In fact, ‘native speakers’ are notoriously poor at international communication. But to come back to the tests. In ELT we have a problem. We assume that a ‘native speaker’, regardless of their education, is always the best model of language. They are considered the ultimate goal of all lg learning. I’ve even heard people say that C2 level simply isn’t enough. A ‘native speaker’ is beyond that level. And we both know that they aren’t. So we confuse an idealised NS who is endowed with infallible linguistic intuition and flawless proficiency, with the real life ‘native speaker’, like you and me. If you look at job ads now, you’ll see a proliferation of ‘native like’ or ‘native level’ requirement. This is probably in response to EU legislation. What this means, though, is that a ‘native speaker’ is still treated as the ultimate lg level, the unachievable, yet highly desired benchmark. Perhaps we need to reform the tests too, but I think it would be much fairer if what was required was C1 or C2 level. Both of ‘native’ and ‘non-native speakers’. To come back to your last comment: “a native speaker is still a native speaker, proficient in the language (in the sense they know how to speak it correctly)”. What does speaking correctly mean and who gets to decide? And why cannot it mean 9 on IELTS? Or a pass on CPE? Of course ‘native speakers’ have intuitions about correctness, but they neither always agree among each other, nor is this intuition restricted to ‘native speakers’. Several studies have shown that ‘non-native speakers’ can judge grammaticality equally well. How we define proficiency is problematic. Definitely. I see it as very much dependent on the communicative context, so being able to get particular things done successfully in the target language in that given context. However we define proficiency, though, I don’t think it can any longer be pegged to the ‘native speaker’. It makes little sense. English is an international language.